Western expatriates living in Eastern European countries and Russian or other Eastern European expats living in the West, especially Christian and Orthodox Christian ones, are experiencing a recurring issue every single year. When is Easter? This is a frequently asked question. But this version of it will not help clarifying the one thing many are asking themselves: Why do we have to ask it? Orthodox Christians and Western Christians, among them Catholics and Protestants, believe in the same God, and in the resurrection of a Jew named Jesus Christ, but one of their two most important holidays often takes place on different dates. In 2014, both versions of the Easter holidays hit the same dates. In 2015, they were a week apart. In 2016, the different Easter holidays were a month apart, and in 2017 they hit the same dates again. In 2018, they were a week apart. The same applies to this year. So, why can’t everyone just agree on one Easter date? Because they use different calendars. Christian churches in Western countries use the Gregorian calendar, their fellow brethren in Eastern countries follow the Julian one. The Orthodox Christian Easter always happens after the Jewish Passover celebrations. That is because Jesus was crucified after coming to Jerusalem for Passover, some 2,000 years ago. The Western Easter, on the other hand, is sometimes scheduled before Passover, which does not seem to make a lot of sense, at least historically. But the calculation of Easter dates does get more complicated. Ecclesiastical moons, paschal full moons, the astronomical equinox and the fixed equinox come in as well. That is where science seems to be influencing religion, at least in relation to Easter dates, which is an interesting aspect. There was another attempt to get rid of what seems like a chaos, judging from the outside. In 1997, a meeting set up by the Council of World Churches took place in Aleppo, Syria, when the city was still standing. The organization proposed a solution, which was supposed to be favorable to both the Eastern and Western churches. It would have involved the meridian of Jerusalem, as part of some complicated formula. But after that conference, 21 years ago, nothing happened. There was no agreement. What this means is that Christians will continue to celebrate Easter on different dates most of the time. In 2025, 2028, 2031, 2034, 2037 and 2038, they will mark Easter at the same time. 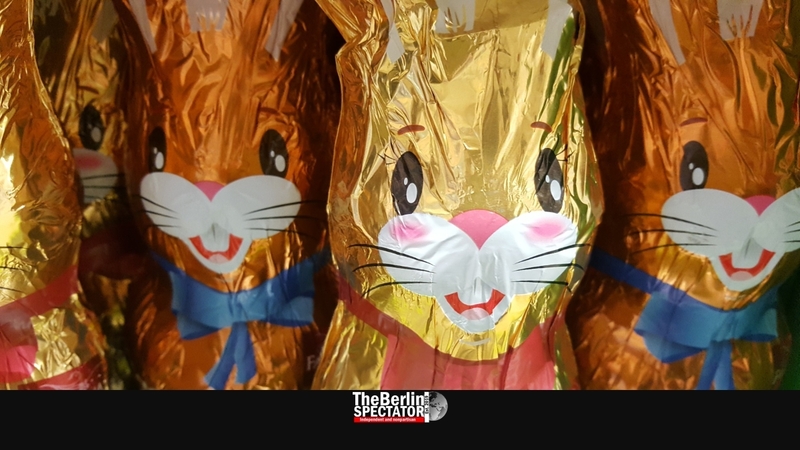 In the other cases, there will be Easter and Easter, and those will be anywhere between a week and more than a month apart.